Order today for Guaranteed Fall 2019 Delivery! - For an August ship date, please place your order by May 1st. - For a September ship date, please place your order by June 1st. Contact us at pumpkinbarrow@marathonind.com or 877-425-1640 if you have any questions. 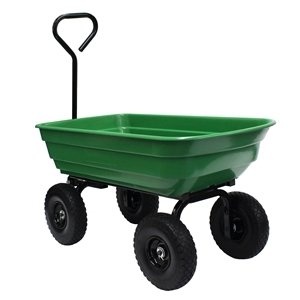 The Garden Wagon has been designed for residential gardening and landscaping but has also become very popular at nurseries and produce farms.